His Excellency Prime Minister Adil Abd Al-Mahdi received this day, the envoy of Egyptian President Abdel Fattah Sisi, Egyptian Ambassador in Iraq Alaa Mousa, who conveyed an official invitation from the President Sisi to the His Excellency Prime Minister to visit the Arab Republic of Egypt, His Excellency promised to meet it as soon as possible. 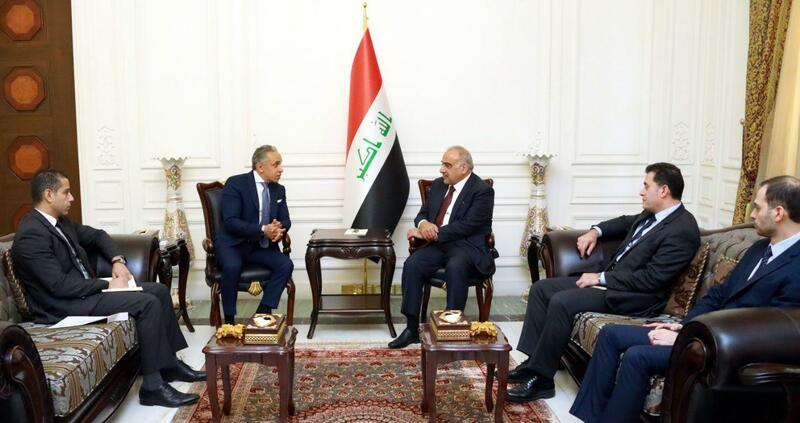 They reviewed the Iraqi-Egyptian relations, means of developing them in all fields, discussing developments in the region and issues of common concern. His Excellency expressed his commend to the Egyptian leadership, its supportive attitude to Iraq, its pride in the brotherly relations between the two countries and the two peoples and his aspiration to increase cooperation in all fields.